Your house or office smelling musty, even when the rainy season has passed by? It’s time to check for water leaks. A leaking tap can cause a huge nuisance. Wouldn’t it be better if you knew a few symptoms and signs to know about a leaking tap in your house? It’s really easy and all you need to do is follow a few simple steps. So here I discuss a few tips to find out about water leaks in your house. This may seem tricky, to be able to hear the sound of leaking water in your house, but trust me, this is one of the easiest things to do of all. It might be a little hard to hear the sound of a faulty tap during the day, with all the noise around and the vehicles running past your home, but it gets pretty easy at night, with the streets snoring and pin drop silence all around. Just keep your ears open and you can sure detect a running tap in your bathrooms and kitchen. You don’t seem to use that much water; neither do the members in your family. But still you get a huge bill at the end of the month. How is that possible? Be sure it is the deed of a faulty tap somewhere in your house. However, this piece of tip is to know if you have a water leakage, not how to find it. It may feel a little strange to find your home smelling musty and damp one day when you come back home from the office. It’s not the rainy season, and yet the house smells of wet earth! There’s sure a leaky tap somewhere. One easy way to find a leaky tap is to find out where the smell is most intense. Go from room to room, smell it out and sure you’ll find that one room that smells as if it rained in there. That’s the room, if there’s a bathroom attached to it, get the taps in the bathroom examined and fixed. It’ll be really disgusting to find wet spots and discolored patches on your carpets in the house, and you wonder what caused them. Well, there’s only thing that can cause a discolored patch on your floor, and that’s water leak. It’s disgusting and ugly, and so you need to find the tap and fix it. Find out the nearest water source to the patch and examine it. Call a plumber and let him see through the problem. Water leakages are common in the country and it is nothing to be alarmed about. A heavy water leakage can seep through the walls and floors and make them damp and even sprout the signs. Wherever the water runs, the portion of the wall or floor turns warm and has spots. Don’t blame it on the construction, it’s the water leakage. Especially if you have the bathroom on the first floor than the ground, this is a very common problem and should be given immediate attention. This entry was posted in Water Leak and tagged Water Leakage, Water Leaking. Bookmark the permalink. 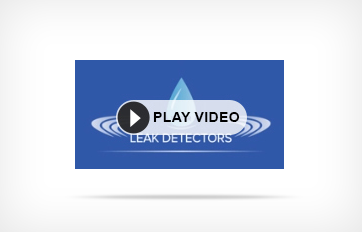 How to Find Leaks using Helium Leak Detection? Home Blog About Us Projects Services Contact Us Why Choose Us?